If you’re facing a legal problem, you are likely going through a very difficult time. Legal issues can be frightening, complicated, and stressful. The attorneys at our firm are experienced, dedicated, and skilled professionals who will tirelessly defend your rights. We will work toward the best solution in your case while giving your case the personal attention it deserves. We understand that, when you hire us, you are placing your trust in our abilities. Because of this, we are committed to providing you the highest quality of cost-effective legal services. Our goal, above all else, is to serve our clients. We firmly believe that no one know you or your family or your needs better than you, yourself. That’s why we begin every initial consultation by carefully listening to our clients and their needs. When you work with us, your needs become our needs. Your goals become our goals. We create and put in place a strategy designed to help you achieve your goals for your unique situation. 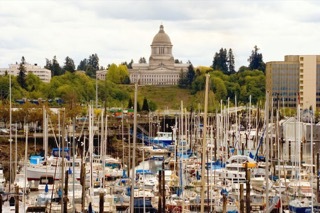 Call us today for a free consultation with an experienced Olympia, WA attorney. We want to help you solve your problems quickly, successfully, and cost effectively.